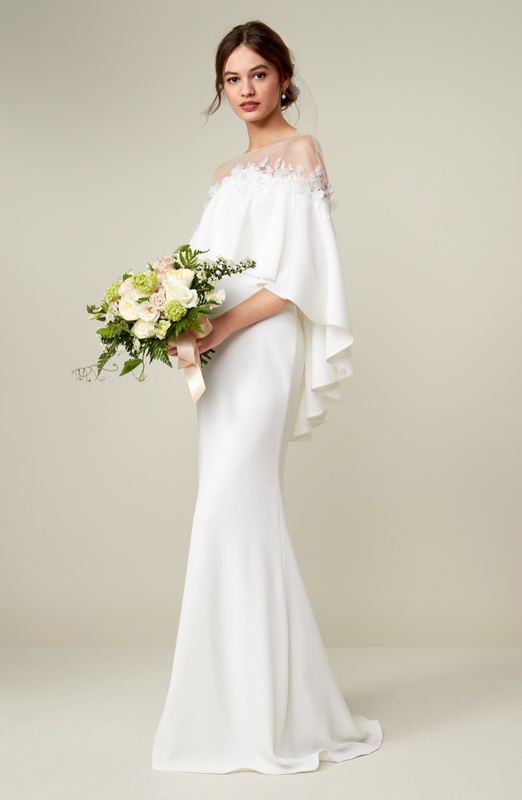 You have looked through all the bridal magazines, social media sites and blogs, but you may have forgotten one major thing about your wedding dress. It’s all about finding the perfect, most flattering silhouette for you to wear. And an important part of this is finding the right fabric. Whether looking for lace, silk or tulle; it’s all about finding a material that will work for you and the dress’s design. Luxury bridal fabric has so many options out there, and we want to help with this guide. Whether buying a wedding dress from off the rack, getting it custom-made or ordering online, make sure to know these important facts before making your decision. The first fabric we will be taking a closer look at is chiffon. This dreamy material comes in an airy, lightweight and oftentimes sheer material. If you want to stay comfortable and not be too burdened by heavy fabric, look for a chiffon style gown. One thing to remember about this fabric is that it does not keep shape well, so if you want a more structured silhouette, look for a more sturdy fabric. Chiffon works perfectly for a lightweight gown with an off-the-shoulder neckline or thin straps. We recommend this style for a beach wedding or a summer ceremony. Lace is a fabric which is probably most widely associated with wedding dresses. But when it comes to lace, some of the best happens to be Chantilly lace. The delicate fabric dates all the way back to the 17th century. Named after a French town of the same name, Chantilly lace became known for its attention to detail and outlined pattern. Whether you want to wear a gown made entirely of lace or one with lace details, you will want this particular fabric. A gown made of this material would look absolutely gorgeous on a mermaid silhouette which hugs the figure. Another fabric that will be amazing for your wedding gown is silk crepe de chine (or crepe of China). This fabric is favored for its lightweight yet versatile use. Made from silk or artificial silk, this material works perfectly for a lightweight dress or gown that drapes effortlessly. Silk crepe de chine would look gorgeous in a strapless silhouette which cascades to the floor. Paired with a lace embellished veil, you will have a winning look for your wedding day. A dreamy material for your wedding gown is satin. The fabric became well-known for its lustrous sheen and typically has a dull back. Satin comes in a different number of weights, making it perfect for an airy, lightweight dress or dramatic ballgown. From charmeuse satin to double-faced satin, find the perfect fabric for a silhouette that will flatter. Column gowns would be great in a jacquard satin while charmeuse fits for a more languid silhouette. This versatile material is perfect for a wedding dress. Now that you have found out more about fabrics, and their pros and cons, which material will you choose for your wedding day? Will it be Chantilly lace, satin, chiffon or silk crepe de chine? Remember that a wedding is a once in a lifetime event, so you should put as much thought into your dress’s fabric as the cake or flowers. The Celine Studs Collection is a new Spring 2018 Line. The handbags are quite different – like the Oversized Studs Bag that we’ve just shared. These bags need to be tested through time, to see whether it can join the classics. But here’s the new addition; the Celine Studs Cabas Bag. Just like any Celine handbag, this Studs Cabas Bag is solid. It’s also squared, streamlined and straightforward. 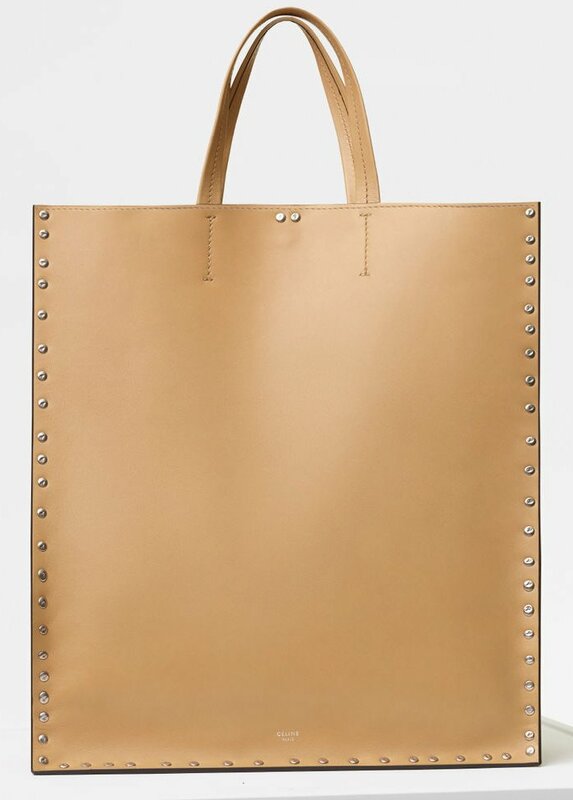 Even tough there are studs crafted around the shopping bag, the overall look still feels minimalistic and simple. The logo of the house has been printed in tiny lettering on the bottom center front of the bag. The bag is definitely spacious and it’s supported with two leather handles for hand carry. It’s made from calfskin, which is a durable and strong leather, and there is no worry about babying the bag. The Studs Cabas Bag is perfect for the shopping days, weekends or on days when you need an oversized handbag to carry all your necessities. The single color and the timeless look is ideal to match with any casual outfits, and can be carried in any seasons. It’s obvious that this shopping bag is spacious. The interior features a zipped pocket and double flat pocket. It’s also lined with suede calfskin. Measuring 14’ x 15’ x 5’ inches, priced at $3700 AUD via Celine boutiques. 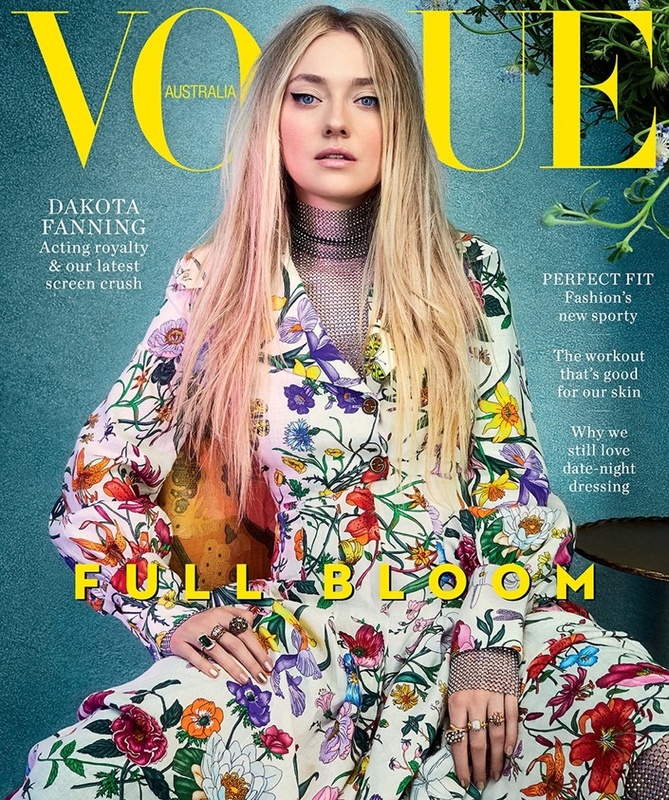 Actress Dakota Fanning graces the February 2018 cover of Vogue Australia. 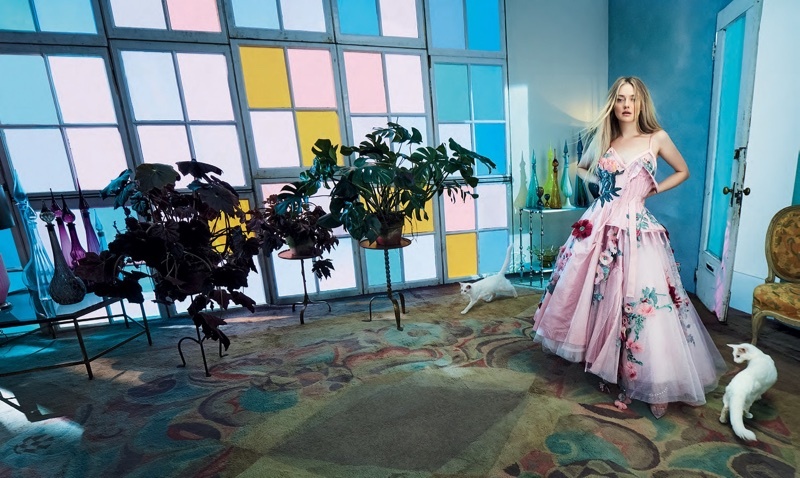 Lensed by Emma Summerton, ‘The Alienist’ star is in full bloom wearing a floral print dress from Gucci. Inside the magazine, Dakota embraces chic ensembles from the spring collections. Stylist Natasha Royt dresses the blonde wearing designs from the likes of Alexander McQueen, Louis Vuitton and Prada. In her interview, Dakota talks about the controversy surrounding her Marc Jacobs campaign when she was just 17-years-old. 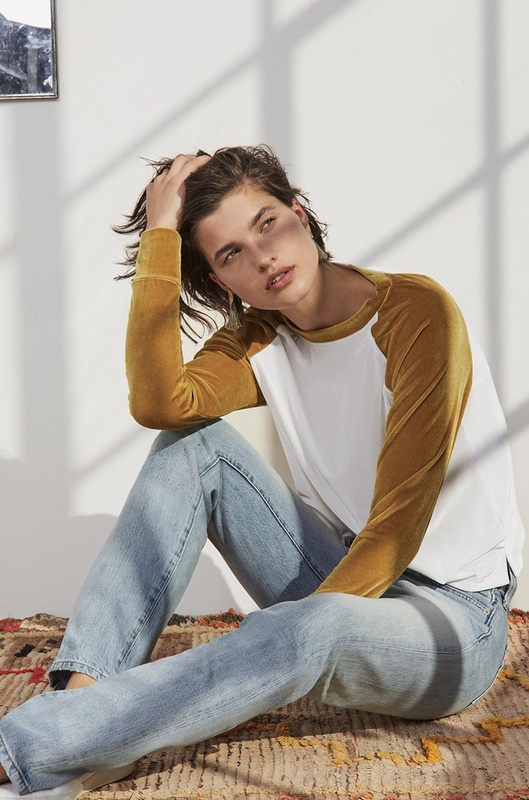 H&M continues its commitment to sustainable fabrics with the launch of its 2018 Conscious Sport collection. Heading outdoors, the campaign spotlights trendy activewear made from recycled polyester. Model Jeneil Williams shows off her toned figure wearing leggings, sports bras and cropped hoodies. Paired with mesh accents and colorful prints, H&M offers chic looks for those intense workout sessions. The J’Adior line continues to surprise us with never-ending fresh handbags. 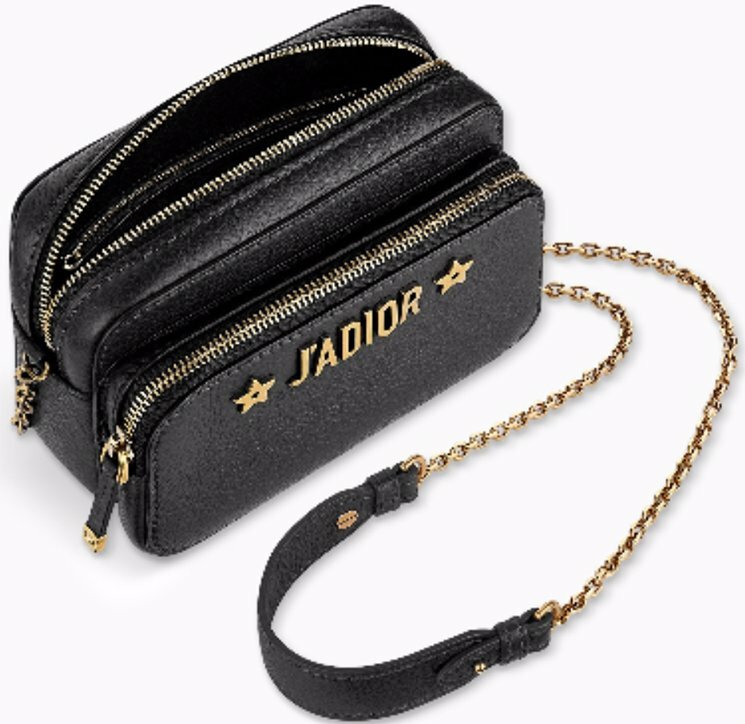 The J’Adior Camera Case Clutch with Chain from the Spring Summer 2018 Collection is one of them. 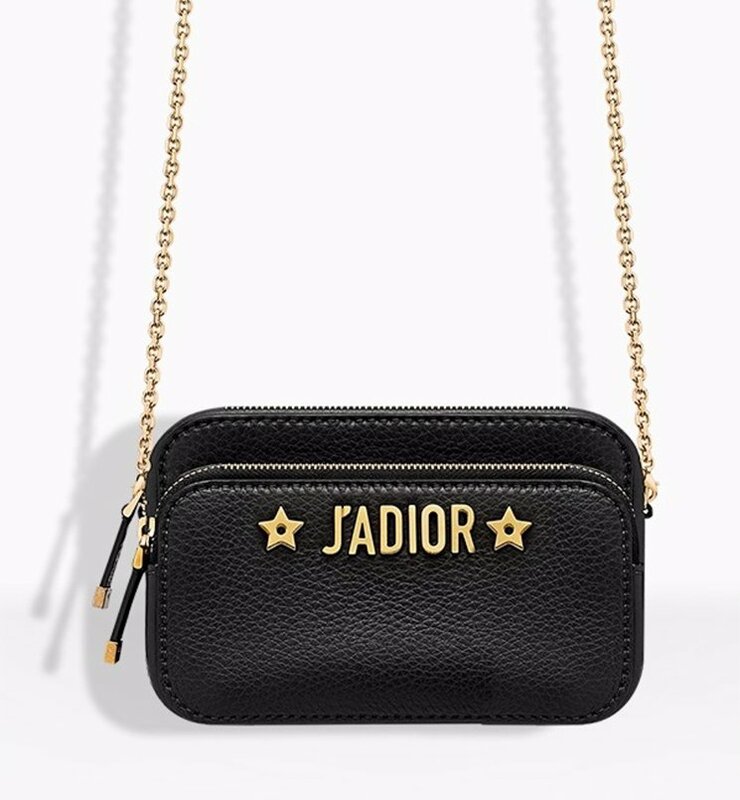 So first, how do you recognize a J’Adior Bag? First-of-all, the logo and they’re usually made in aged gold hardware. 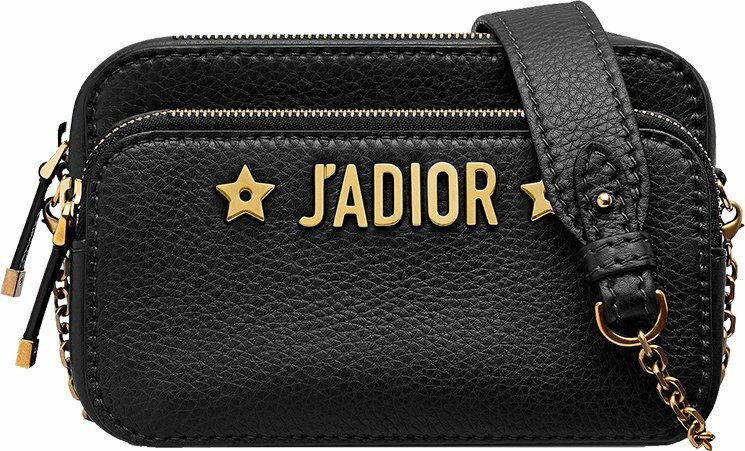 Secondly, some J’Adior Bags are adorned with two stars next to the logo. The J’Adior Camera Case Clutch is a unique and never-done-before – it’s a new creation that joined the house of Dior today. This bag is a clutch bag, but also a camera case at the same time. it’s crafted with double pockets. There is a main medium-sized pocket and on the front another pocket. 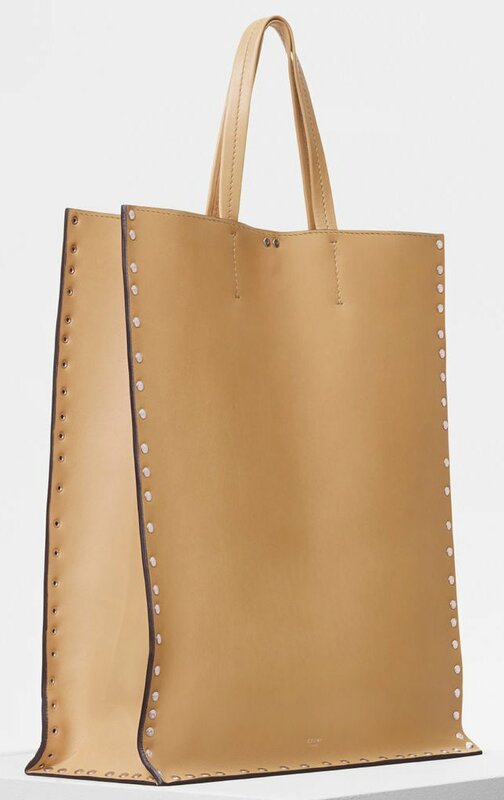 This bag is made from durable and strong-grained calfskin leather, then it’s finished with aged gold hardware. It comes with a removable chain and jewelry in aged gold hardware. The chain is 120 cm long, so you can carry it on your shoulder or over the shoulder. You can also remove the chain to turn this bag into an evening companion. The double pocket is really what’s distinctive about this handbag, so let’s talk about that in details. So the bag is designed with two zipped pockets. In the medium-sized pocket, there is also an extra inner zipped pocket inside. The two pockets are spacious enough for all your daily needs and more. Measuring 18 x 11.5 x 8.5 cm, priced at €1500 EUR, £1450 GBP via Dior boutiques. The spring season will be here before you know it. 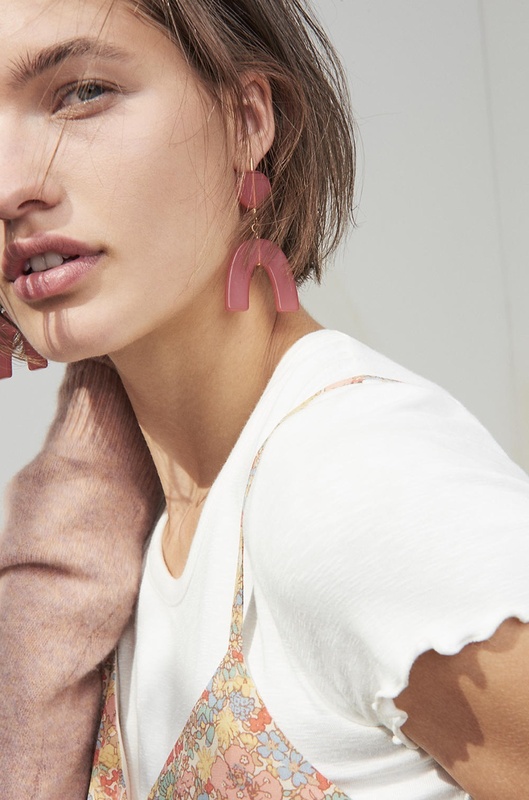 And if you want to get ready before the sunny weather hits, take a look at Madewell’s new arrivals. 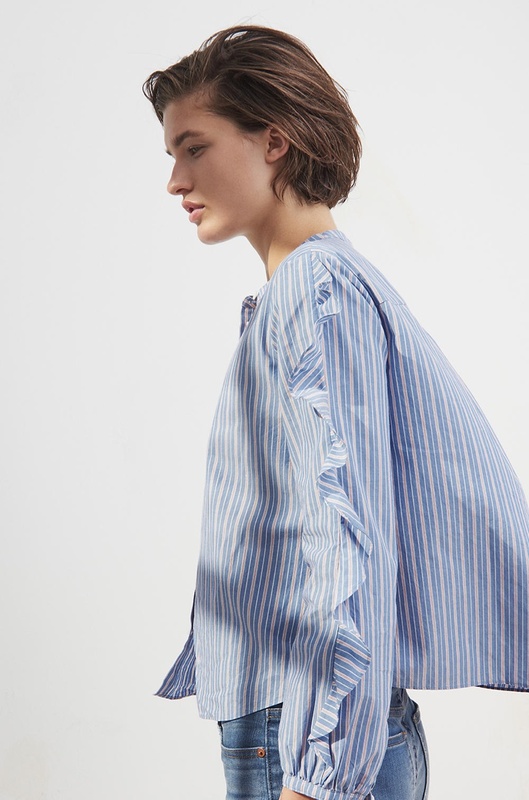 The American fashion brand taps model Julia van Os for the lookbook. Spotlighting colorful pastels as well as chic neutrals, the fashion shoot puts a focus on denim, casual tees and striped separates.